Learning is an ongoing process no matter what business you're in. If you're running a restaurant or even just thinking about opening one, these books offer some interesting insights, advice, and a little humor as well. This is a must-have for anyone thinking of opening her own restaurant. Running a Restaurant for Dummies is written in a straightforward, funny style that's both engaging and informative. The book covers all major aspects of running a restaurant, from writing the all important restaurant business plan to getting word out through marketing and advertising. This is one of the most popular books on Amazon, although I found that included some unnecessary information. Many of the tales from the trenches of the restaurant business do little to inform the reader, but they're entertaining. 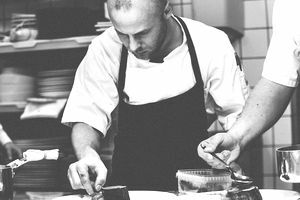 Egerton-Thomas has some great information in How to Open and Run a Successful Restaurant. It's clear that he knows the business inside and out, but the layout of the book and all the anecdotes make finding that information a bit of a challenge. If anecdotes are your thing, Restaurant Owners Uncorked has you covered. Brawley has interviewed 20 successful restaurant owners and has gathered their tips and tricks in one book. Yes, 20 sounds like a lot, but this book is not overwhelming thanks to Brawley's knack for condensing a lot of yeah-yeah-yeah conversation into some sterling high points. His book is honest and it's fun. If you already have the food and staff, why not take advantage of that and offer on- or off-premises catering—or both? It's a good way to boost restaurant sales and expand your customer base. The layout, information, and writing style of The Everything Guide to Catering are all excellent. Keep a copy of The New Food Lover’s Companion handy when you sit down to write your menu. This handy food encyclopedia includes every term related to food and drink ever invented. Originally published in 1990 as The Food Lover's Companion, this new-and-improved version was released in 2013 with more than 500 new listings. Don't stop there. The Deluxe Food Lover's Companion came out in 2015 and offers more than 7,200 entries. It's hard to imagine anything you'd need to know that isn't covered here. From recipe measurements to your restaurant's bottom line, it really is all about the numbers. This book is more about the financial end of things, however. Fields imparts a way of critical thinking and decision-making tactics that will help you keep your restaurant in the black. Restaurant Success by the Numbers delves into some interesting statistics as well, and you can use them to tailor your menu so it helps ensure your restaurant's success. What age demographic dines out most often? Don't worry if you don't know. Roger Fields looked into it for you. Both Wine for Dummies and Bartending for Dummies offer up all the basics about wine and cocktails. Paula Deen’s biography, It Ain’t All About the Cookin’, is also an excellent read, and Kitchen Confidential by Anthony Bourdaine offers some restaurant humor.